Years ago the massive Colorado Fuel & Iron plant closed, changing Pueblo forever. Once a gritty steel town, Pueblo has been in transition ever since. Ranching and irrigated farming are economic mainstays, and there are still some metal-products industries in the area, The real attractions now are the quiet, small-town life and a pleasant climate. As part of the effort to transition the economy, the city has spent a lot for revitalization and waterfront restoration along the Arkansas River waterfront. The area is home to large medical facilities and a state mental health center, as well as a Colorado State University campus. The mountains and Royal Gorge area to the west provide extensive outdoor recreation. The unemployment rate is among the highest in the state. The city is a bit isolated but many services and amenities are available in Colorado Springs, 25 miles north, which also provides jobs for some Pueblo residents who commute there. Cost of living is moderate and attractive relative to other Colorado cities. On the downside, there are some areas of unattractive growth outside of town. 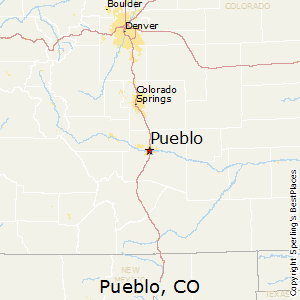 Lake Pueblo, the largest body of water in southern Colorado, is located 7 miles west of the city and provides a variety of watersports, fishing, and picnicking, as well as a wildlife preserve. The surrounding countryside consists of rolling plains and is covered mainly with sparse bunchgrass and occasional cacti. The climate is semiarid and marked by large diurnal temperature ranges. Summer days reach 90 degrees about half the time, but low humidity means reasonable comfort. Mountain breezes keep summer nights cool. Winter is comparatively mild due to abundant sunshine and mountain protection. Cold spells are usually broken by warm, dry, chinook winds coming down the mountains. Summer rains occur as sporadic afternoon thunderstorms. Winter precipitation is usually light. 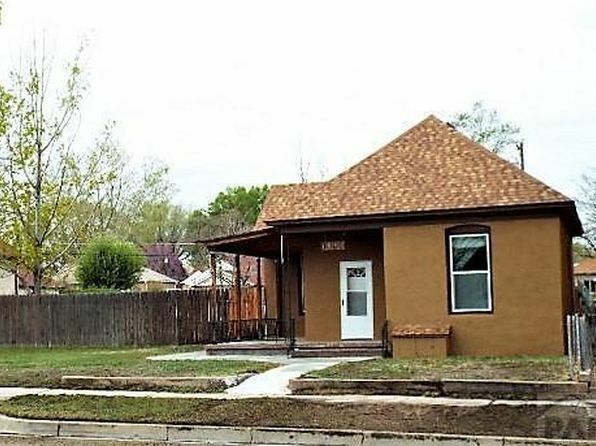 The median home price in Pueblo is $162,200. Browse Homes in this Range.